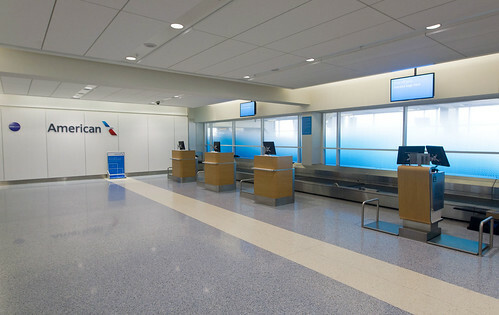 The fresh, new look of American Airlines is taking off at Dallas/Fort Worth International Airport. Today, American and DFW Airport announced the completion of Terminal A – Phase 1 under the Terminal Renewal Improvement Program (TRIP). 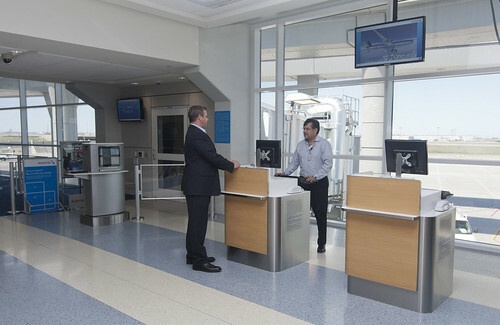 The Phase I opening includes gates A8 through A16, including the check-in and entrance area, as well as the parking structure adjacent to these gates, and is designed to increase customer convenience and satisfaction by offering a more intuitive airport experience. If you get off a plane at the renovated Terminal A you might mistakenly think that you’ve landed at the wrong airport, because you’re not going to recognize it. It looks nothing like the old terminal. It’s much brighter, more open, and looks more like Terminal D which was opened in 2005. There are several new food options including The Salt Lick BBQ, Qdoba Mexican Grill, Ling & Louie’s Asian fusion restaurant, and Teavana. Here’s a look at the new self tagging kiosks. 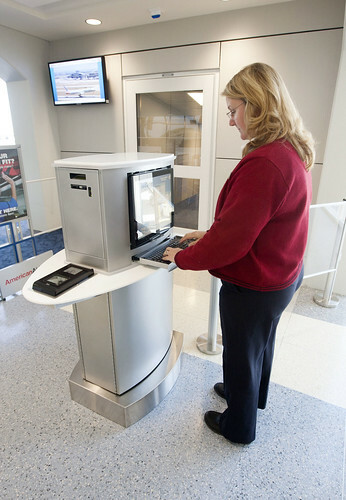 American has already installed them in Chicago, Boston, Washington D.C., and Austin. This is a first for Dallas. Here’s a look at the next generation gate. 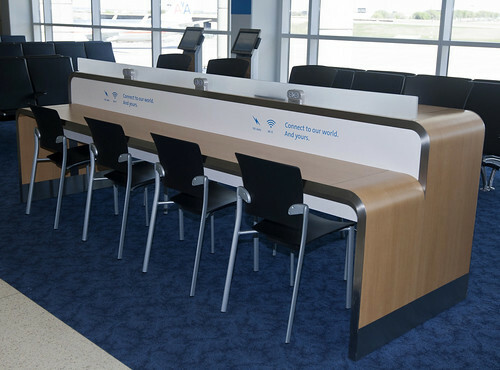 Wi-Fi and charging stations at the gate. If you live in Dallas one of the biggest improvements you’ll notice is better parking at Terminal A. Parking in the old garage used to be a beat down. An early morning flight out of Terminal A used to be pretty rough. First you had to fight Dallas traffic to get to the airport, and then you had to get really lucky to find a parking space (the only thing that made up for all the extra stress of Terminal A was the fact that it has one of American’s best Admirals Clubs). Now the new parking garage has more than 7,500 parking spaces, and offers a parking guidance system to show drivers the location of available parking spaces. I’m looking forward to my next flight out of Terminal A! All work on Terminal A should be complete in late 2014, and the entire $2.3 billion DFW terminal renewal project to renovate Terminals A, B, C and E is supposed to be finished sometime in 2017. Meanwhile at IAH . . .
Flew through A last night. Given the limitations of the terminal (ceiling height, etc.) I think they did a great job. Much brighter, no more tile floor rattling as you drag your bag over it, shops are more open, GA’s have single terminals rather than a big desk between them and customers, there are monitors when you deboard with connecting flight info, lighting is much better and brighter, Priority boards straight on with Main Cabin boarding along the window, new restaurants look much better. Overall a great improvement if you are an AA flyer and half to transit DFW nearly every flight. 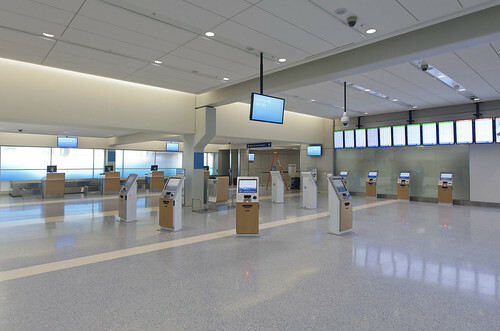 @ Erik – Who knows…maybe the Dallas/Houston rivalry will spur IAH to upgrade their airport. @ Ryan – I have an early morning flight to LGA next week and odds are good that it will leave from Terminal A. Hope I get to see it myself. Thanks for the first hand review! I hardly ever park at the terminal my flight is out of at DFW. C and A have been horrible to park at and are always crowded. I will usually pull up and check my bag with the sky cap at my terminal, then hop back in my car and go park at D or E. D is usually really nice b/c it is the international terminal and even with an early morning flight, the security line is dead. I pass through quickly, hop on the sky link and right to my gate. This is of course if I’m flying on business and my company is paying the parking tab. Otherwise, it is just long term parking and a shuttle bus for me. Terminal A AC has the best shower! It used to be the arrival lounge for international flights, but that concept went away while the showers stayed. All good news for DFW but they were unprepared for the normal Monday morning biz travel rush. Just growing pains – but still!!! 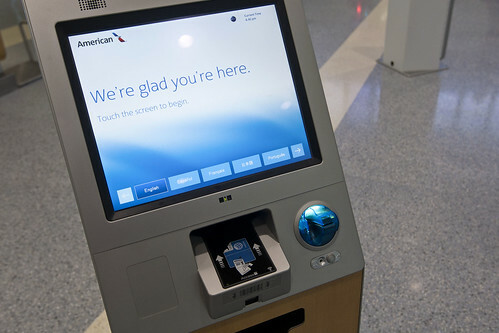 does somebody know if American is offering self tagging at DFW Terminal D?